Transportation… All Roads Lead to MFS! Each year Moorestown Friends School offers as many as three 1785 Founders Scholarships to academically high-achieving new ninth grade students who demonstrate good citizenship and leadership potential. The scholarships are renewable half-tuition awards (a current value of $15,300). 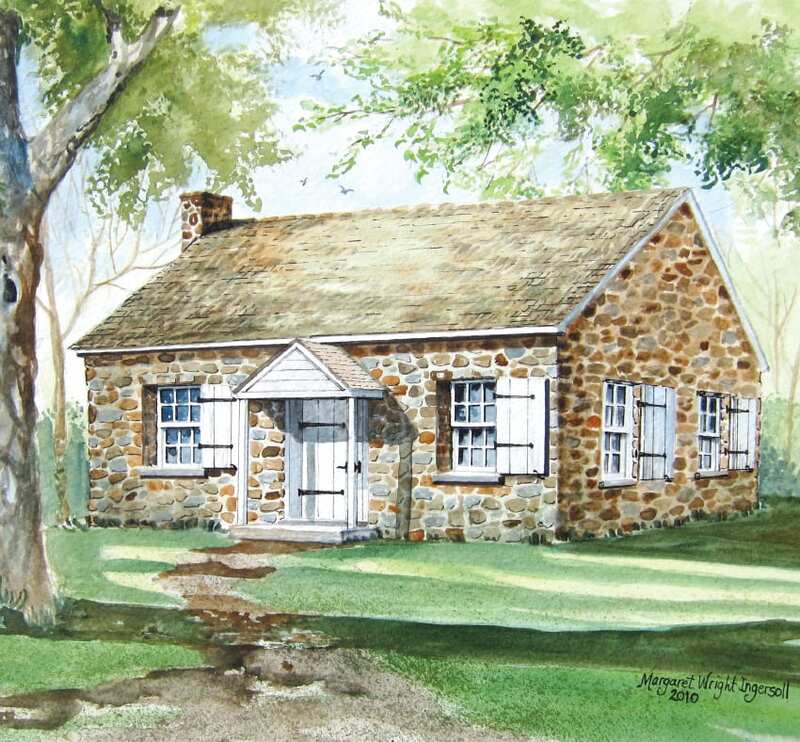 The scholarships are named in honor of the 33 Friends families who pooled their funds to purchase the land and materials necessary to build the original stone schoolhouse (pictured at right) which opened in 1785. The purchase price using the currency terminology of the day was 112 pounds, 3 shillings, and 2 pence — the equivalent of $1,003.09. Who is eligible for a 1785 Founders Scholarship? Any student applying for ninth grade for the following school year. Application for Admission and student/parent questionnaires. Submit all required materials (teacher recommendations and school records). Complete 1785 Founders Scholarships questionnaire. Sit for required Admissions Assessment on December 8, January 12, or March 2, at MFS. Visit campus for shadow day. Click here for an Admissions Application checklist. For more information, contact the Admissions Office: (856) 914-4426 or admiss@mfriends.org.